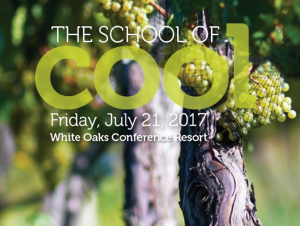 Did you join us for the School of Cool and wanted to know more about the wines you tasted, the winemakers you heard from, and the sessions you attended? Well you came to the right spot. Here you can find the presentation from the School of Cool. The presentation includes notes from our Keynote Speaker, Karen MacNeil, the panellists from each session, the topics covered, the wines that were tasted, and more. To view or download the presentation, click the photo.